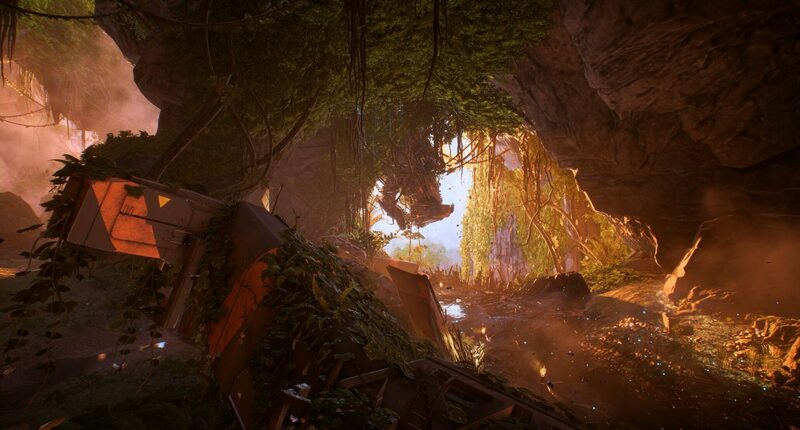 Over the weekend, a couple BioWare developers have shared new screenshots of Anthem, the upcoming multiplayer action RPG set in a new IP. Tyler Steinbring of the QA team shared a gorgeous new screenshot of a cave via Twitter, which we’ve added as this article’s featured image. Then, Senior Level Designer Emily Taylor showed two new enemies before adding that the Scars, the most common enemy in the footage released so far by Bioware, are far from the only foes players will face. In related Anthem news, a hardcover version of the prequel graphic novel appeared on Amazon over the weekend. This version will include all of the three episodes of the graphic novel and is scheduled to be released on August 13th, 2019. Meanwhile, you can pre-order it. 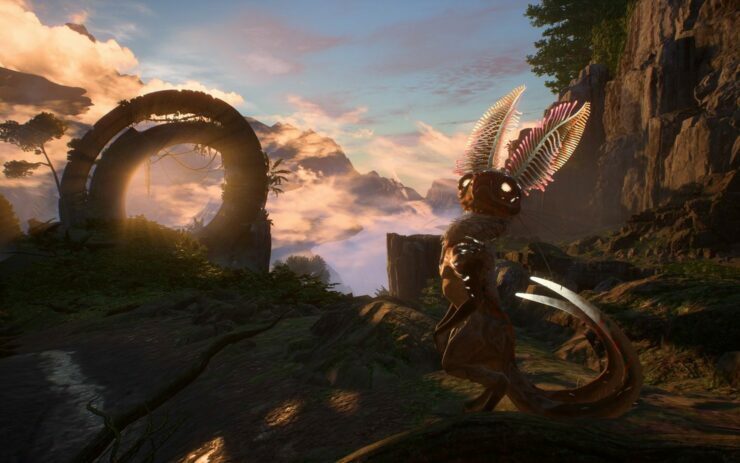 This prequel to BioWare’s science fantasy Action RPG introduces two gifted siblings struggling for survival in a world full of danger. From the video game developer that has defined roleplaying games with seminal franchises such as Mass Effect, Dragon Age, Baldur’s Gate, and Star Wars: Knights of the Old Republic comes a world brimming with new heroes, new threats, and new stories. 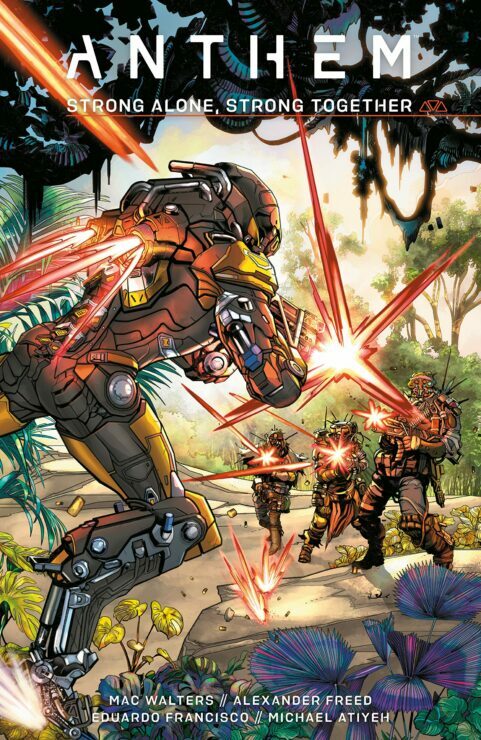 Yarrow–one of the brave warriors known as Freelancers who pilot powerful Javelin exosuits–rescues a lone boy, Kismet, from an ambush. With no family left alive, Kismet is placed with a family in Fort Tarsis, a human outpost surrounded by untamed wilderness. His adoptive sister, Jani, struggles with Kismet’s withdrawn personality at first, but over the years, the two become close friends. As they grow, Jani learns to fly and fight in Javelin armor, while Kismet trains to join the ranks of the mysterious Cyphers. The pair find themselves split, each pursuing their own craft of war, until an enemy force–large and vicious–appears on the horizon, bringing them together to face their ultimate test. They vowed to defend humanity, but can they protect each other? 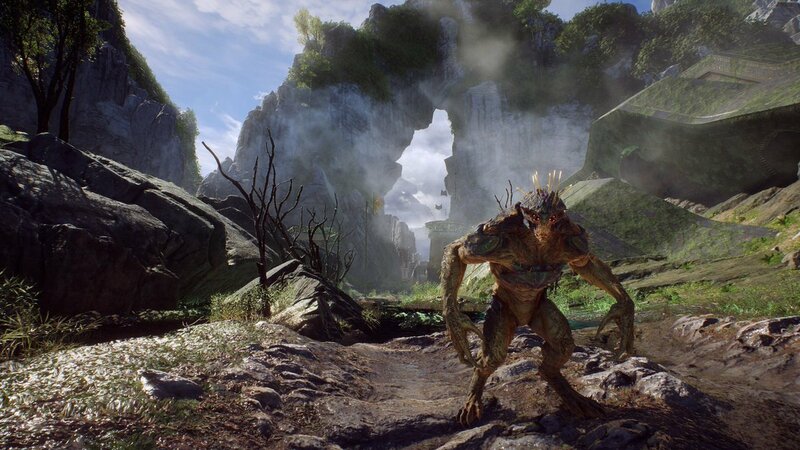 Anthem is due February 22nd, 2019 on PC, PlayStation 4 and Xbox One.